Educators often look for classroom inspiration from instructional strategies that “work,” focusing on how many students improved based on a given strategy. While that’s important and helpful, focusing only on how a strategy works, without examining why it didn’t work for some learners, is a missed opportunity. Examining the conditions when a strategy is ineffective or unintentionally misleads students doesn’t necessarily mean teachers should abandon that strategy altogether, but it does help them plan ahead for how it might backfire. There are many examples in education of ideas implemented as though they were gospel backfiring because educators lost sight of the nuances. Rewards are a commonly misapplied tool in education, for example. Simple behavior theory predicts that rewards produce more of a desired behavior, while punishments yield less undesirable behavior. But a famous study by Mark Lepper, David Greene and Richard Nisbett found that misapplied rewards can have disastrous consequences for intrinsic motivation. 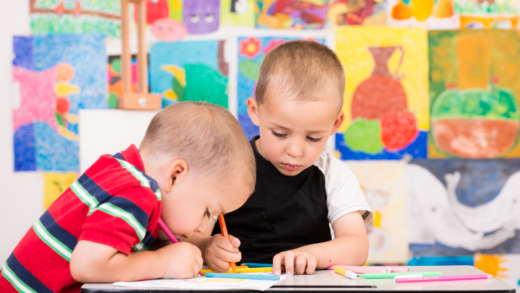 For their study, Lepper, Greene and Nisbett first observed a preschool classroom for baseline observations and found that drawing was one of the most popular activities. They wanted to test intrinsic versus extrinsic rewards, so they put out felt-tipped markers (a big treat) at the art table and told one group of students that if they chose drawing during free play time they would get a certificate with a gold seal on it. A second group was not told about the reward, but after making art they received one. The third group was neither told about the rewards nor received one. After a week or two, the researchers again put out the felt-tipped markers and observed from behind a one-way mirror what activities the children chose to play with on their own. Children in the reward condition chose to draw much less during a three-hour play period than either of the other two conditions. What happened? “The [certificate] replaced the satisfaction of drawing,” Schwartz said. “When there was no more reward, the kids didn’t want to draw.” And, interestingly, when kids were being rewarded for their drawings, they produced less creative work. Another example is the commonly believed notion that treating each case as unique is a good problem-solving strategy. But this, too, can be misapplied. “Sometimes you design instruction that leads students to inadvertently do the wrong thing,” Schwartz said. In one study done with college undergraduates, physics students were learning about how magnets affect electric current. They were given three cases of how a magnet interacted with a lightbulb attached to a wire loop. In Case A, the magnet moved right and the lightbulb lit up. In Case B, the magnet moved up and the lightbulb did not light up. In Case C, the magnet was flipped and the light went on. Students were asked to come up with one account that could explain all three cases. They were placed in two groups, one of which was asked to use the “Predict-Observe-Explain” (POE) strategy, common in science education. This is a difficult problem and only about 30 percent of the control group got the correct answer: the lightbulb lights up with a change to the x-vector of the magnetic field. However, only one student was able to get the right answer in the POE group. The researchers found that when students used POE, they treated each case as separate and weren’t looking for patterns across the cases. Schwartz said another way the each-case-is-unique idea can go wrong is when students are doing problem sets. They often treat each problem separately, instead of thinking about how they relate. This is an example of what Schwartz calls a “learning frailty,” or things students are likely to do and that teachers can predict and plan to circumvent. To do this, teachers often have to explicitly tell students what the frailty is and advise them not to give into it. “You have to address what you want them to do, but also what you don’t want them to do,” Schwartz said. Schwartz wanted to know whether he could teach students to seek constructive feedback and to explore a space before prematurely settling on an idea, both strategies found to improve learning. He inserted an intervention into the setup of design thinking activities that 200 sixth-graders were doing in math, social studies and science. Students went through a design cycle where they were told to explore materials and ideas, generate solutions, create prototypes and reflect on the process. One group was told that at each stage of the design process, they should seek constructive criticism on their idea. They were also told to avoid the learning frailty, “we like to hear what we have done well,” in favor of criticism that would help them improve. The other half were told that at each stage of the design process they should resist the temptation to settle on the first idea (the learning frailty), and instead to try multiple ideas before picking one. Measuring whether these interventions taught the students to use the strategy on their own was tricky because Schwartz and his team were interested in whether students would recognize the value in the strategy and choose to use it on their own when they weren’t explicitly told to do so. They needed a way to measure choice, not knowledge, so they chose a game format. The seeking-criticism group played a game in which they are hired to make posters for booths at a school fair. The game offers various tools kids can use to create the posters, and then students present their first draft to a focus group of animals that provide feedback that includes praise as well as constructive criticism. Students read the feedback, make changes to the poster, and then see how many tickets they sold. Researchers were looking for how often students chose to hear more feedback from the focus group and made changes to their posters as part of their process. “The more feedback you choose in this game, the more likely you do well on the California standardized tests,” Schwartz said. He also found that lower-achieving kids weren’t using this strategy before the intervention, but after the design thinking project they recognized its power and did use the strategy more. Kids who were already high achievers were already using this strategy, so it didn’t make much difference. Similarly, Schwartz designed a game for the group that was asked to design in parallel instead of choosing the first idea they had. In the game, students are photographers with a variety of settings on their cameras. The game measured how many different camera settings students tried before settling on their final version. And, once again, kids who had not previously used the “exploring the space” strategy did improve. “You want to teach students what to do and what to avoid. And acknowledge why you’d want to avoid it,” Schwartz said. Another common learning frailty is to do the thing that takes the least time. Teachers can try to circumvent the frailty by explaining why a better strategy, while more time-consuming, will pay off in the end. Schwartz is wary of anyone who says teachers should never lecture, or never give rewards because it is “bad pedagogy.” “The key here is understanding that these instructional moves are good. You just have to figure out when,” Schwartz said. Rewards work well to incentivize something students don’t like to do, but educators have to be careful about unintentionally reinforcing the idea that whatever is being rewarded is work and therefore not fun. Similarly, some educators argue that telling students information is wrong or anti-constructivist, but there is a time and a place for telling students information, a relatively efficient way to transfer knowledge. Schwartz and Bransford completed a study in 1998 showing that when college students analyzed contrasting data sets from classic psychology experiments and then read a text or listened to a lecture about why those experiments were important to the development of psychology, they were more prepared to understand and contextualize the new information. The students were then better able to grasp the outcomes of a similar set of data a week later, as compared to students who had summarized the information before the lecture. The analyze-and-lecture condition also predicted more accurately than students in a condition who analyzed the data twice. Ultimately, Schwartz’s warning about unintended consequences of instruction is a rallying cry for teacher professionalism. “The science points out what’s necessary; the trick is making instruction where that component sits in an environment that’s sufficient for learning,” Schwartz said. For example, scientists can prove that overwhelming students’ cognitive load is bad. But reduce cognitive load too much and students are bored. That’s why teachers are so important; they are the investigators carefully taking note of how different students respond to strategies in the classroom, and are constantly tweaking ideas to improve them. “The scientists can give you certain laws about learning, but they can’t put it together into instruction,” Schwartz said. They understand the neuroscience, not how to translate it into a classroom environment. That’s why Schwartz believes the most important thing for good instruction is for the teacher to be an “adaptive expert,” someone who is constantly reflecting, and learning from what he or she has tried in the past. Adaptive experts have growth mindsets about their teaching, whereas “routine experts” get good at one way and repeat it over and over. “You develop a great deal of expertise by designing instruction and looking at the outcomes of the instruction,” Schwartz said. “You as the teacher need to think about this as a creative endeavor.” Observing how students interpret a lesson and thinking through what learning frailties may have led them in the wrong direction is one way to try to avoid unintended consequences of instruction. This discussion of instruction misfiring may feel frustrating for educators looking for tried-and-true research-based strategies, but it also reaffirms the importance of educators’ expertise in the classroom. The one guideline Schwartz offers is that often when the rationale for an instructional strategy is to save time or be more efficient, the likelihood of an instructional backfire is high. Resorting to only telling students things, rewarding them for doing what you want them to do and oversimplifying are all ways this can happen.